DISCLAIMER: This is a work of fanfiction for my own entertainment (and maybe yours). 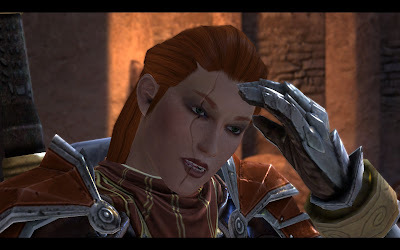 Dragon Age II and all related characters and locations are the property of Bioware Inc. RATING: Grown ups. Aveline rolled her eyes and continued helping with the preparations. Isabela’s new ship was set to launch the next morning at dawn – assuming Isabela wasn’t utterly hung over from the going away party Varric was hosting at the Hanged Man that night. Varric and Merrill were there now getting ready for the party. That is, Merrill had insisted that the place be appropriately decorated, and Varric, always ready to indulge his little “Daisy,” was there supervising. Likely with a mug of ale in his hand and another few on standby. On a rare day off, Aveline had agreed to help and dragged Fenris along with her. She was beginning to regret the latter. 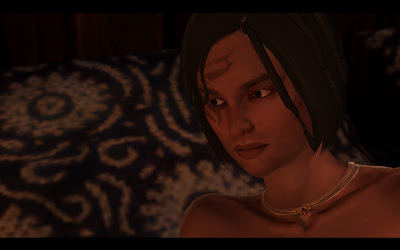 “Isabela…,” Aveline said with warning. 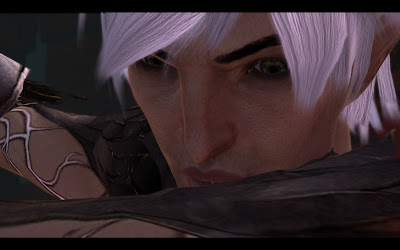 “It’s not a trick, Isabela,” Fenris snapped. “Oh right, lyrium burned into your flesh. Not pleasant, I’m sure. But surely its new uses keep Hawke… entertained,” she winked knowingly. Fenris eyed her suspiciously. He definitely did not like where this was going and knew he should not encourage her, and yet … “What do you mean…?” he asked. “That’s enough, Isabela,” Aveline snapped. "Hawke does not ‘keep’ me!” Fenris growled, dropping the crate in his hands before the elven crew member could reach for it. He spun on his heels and stormed off. “Isabela!” Aveline sighed, throwing her hands in the air and going after him. Aveline was glad to be free of her guard captain armour. 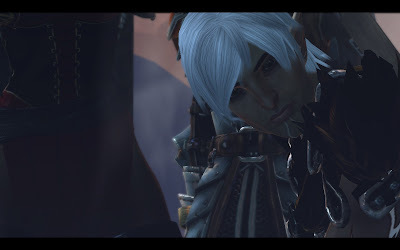 It made catching up to Fenris’ quick pace easier, though she was still slightly winded when she reached his side. “Why do you let her get to you?” she asked. “Because she’s right,” Fenris spat, turning away from her. 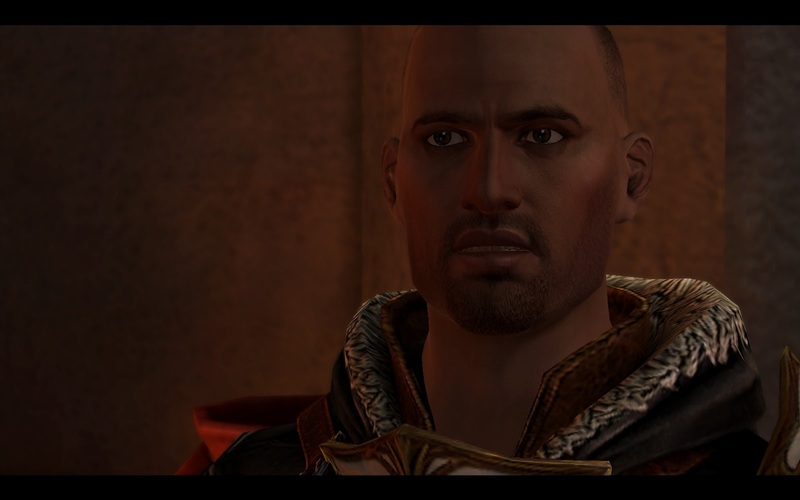 “What are you talking about?” Aveline demanded incredulously, risking a restricting hand on his shoulder. She knew Fenris’ temper well enough to expect him to throw her off, but instead, he stopped, his head and shoulders sagging. Caleya heard the door to the bathroom open and close quietly, but she did not open her eyes and she relaxed in the claw footed tub – a gift, one of many, from Sebastian Vael. She did not open her eyes when she sensed Fenris approach and kneel beside her. She did not open her eyes, but her lips did curve slightly as she felt his hand slip into the water. She did not open her eyes, but she did sigh contentedly when he moved his caresses between her thighs. But when the magic of his lyrium tattoos suddenly manifested above her groin, she gasp and her eyes flew open in shock. “So it’s true then,” he chuckled, but his mirth did not reach his eyes. "Wh --" she managed to gasp but whatever she meant to say flew from her mind as his fingers twirled intricate circles, faster and faster, taking her to climax in a manner of seconds. She screamed and he silenced it with his mouth over hers, bracing her as she shuddered violently against him. "Satisfied?" he asked, slipping back to lean beside the tub. She nodded, almost unable to speak. "You?" He raised an eyebrow, slipping his thumbs into the waist of his pants and tugging down as he stood up. "On the contrary..."
She grinned wickedly, her hand snaking out to pull him gracelessly into the water. There was more water outside of the claw foot tub than in it and what remained had grown tepid. 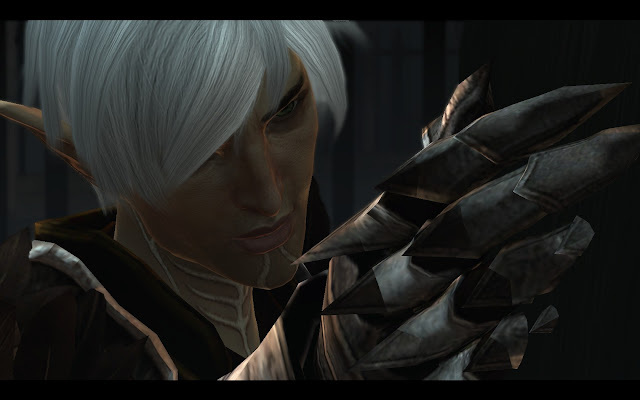 Hawke didn’t seem to mind as she lay back against Fenris’ chest. “Orana is going to have our heads for this mess,” Fenris murmured in her ear. Hawke caressed the arms he had wrapped around her, “I suppose I forgive you,” she cooed. He couldn’t see her face, but knew she had that teasing twinkle in her eyes that he loved so much. It made this more difficult – as if giving into his own passions earlier hadn’t already done that. Despite her languid demeanour, it seemed she was aware that there was more to their current position than their usual ardent love making. “There was more to that little experiment, wasn’t there,” she stated, her voice growing serious. She untangled herself from his arms and carefully stepped out of the tub. “What’s on your mind?” she said, wrapping herself in a towel, watching him. “I’m going to travel for a while,” he said, avoiding her eyes as he hoisted himself out of the tub. “You what?” she prodded, becoming angry. He growled and stormed into the bedroom. She understood then, what had been troubling him. She’d seen it for a while now, but when she pressed him, he changed the subject and she’d been too wrapped up in her own problems to pursue it. Perhaps, he had not fully understood himself what was eating at him until Isabela and Aveline fanned the sparks. Maker’s breath. Isabela. 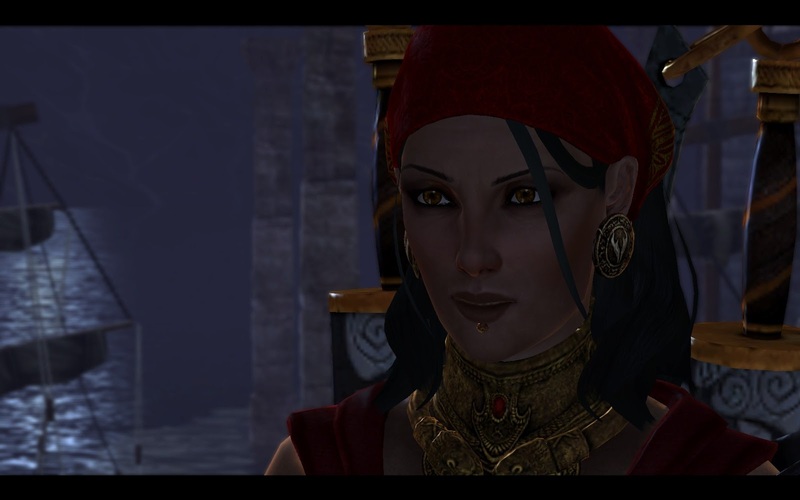 Hawke supposed it shouldn’t surprise her that Isabela had been the one to drive a stake through their relationship. Hawke loved Isabela dearly and knew that, deep down in that scoundrel heart, Isabela had no intention of hurting her, but that didn’t make the facts hurt any less. Fenris wanted to know that she needed him. He wanted to hear how much it meant to her to have him there at the end of the day when the stress of politics and secrets and schemes and plots and bribes and complaints and everything else that came through her office door weighed heavily on her – because he took that all away. When she came home to him, she was not the Apostate or Champion or Viscount of Kirkwall. She was just Caleya. Caleya who could fall asleep with her head resting in his lap as he read from their growing library. Caleya who could laugh and play with him until their passions overtook them and they fell hungrily into each other. She could have told him all these things, but, she realized, as much as he needed to hear it, he was right. He needed to come to this realization himself. If ever he did. But more importantly he needed to find himself. She could have said all these things and she was certain her words would make him stay, but she couldn’t be that selfish. She had to let him go. The going away party had been exactly what everyone but poor Merrill had expected. Varric made sure the kegs did not stop flowing and the music did not stop playing while everyone at The Hanged Man danced and laughed into the small hours of the night. Hawke had arrived late after work and was immediately whisked away by Isabela who seemed intent on occupying her benefactor's attention. Hawke didn't mind. She had been just as intent on getting blindingly drunk that night, ensuring that anything but Fenris was on her mind. Isabela finally gave her that tour of the ship she had promised, ending in the captain's cabin and then the captain's bunk. When Isabela awoke the next morning, Hawke was already dressed, about to leave. No one had spoken about it, but she knew Fenris had been on the ship that night. They had already said their good byes, such as they were. She had not seen him again after he left that night. That was three weeks ago. It was too late for her to tell Fenris how much she needed him. How much she needed all of them. They were gone and now she stood by her hearth, preparing herself to lose yet another friend. She thumbed through Anders’ manifesto, pausing occasionally when a word caught her eye, but not able to take in its meaning as her eyes blurred with tears. Part of her wanted to throw the whole damn book into the flames. Damn his beliefs! The other part of her wished she’d secretly sent him on his way with Isabela and the others. “Are you ready?” said a gentle voice behind her. Anders kept his head level. There was defiance in his eyes, but no Justice. Justice had not appeared again since Caleya had begged their cooperation and silence. Anders had hated that she was using him for her political machinations, but she didn’t care. She refused to allow him to become a martyr. As if it weren’t difficult enough to have kept him imprisoned for this long with the Chantry sniffing around and questioning the motivations of the Viscount of Kirkwall – an apostate herself. She had promised that he would pay for his crimes, but it would on her terms. Not his. And not Sebastian Vael’s. Sebastian was there at the trial. 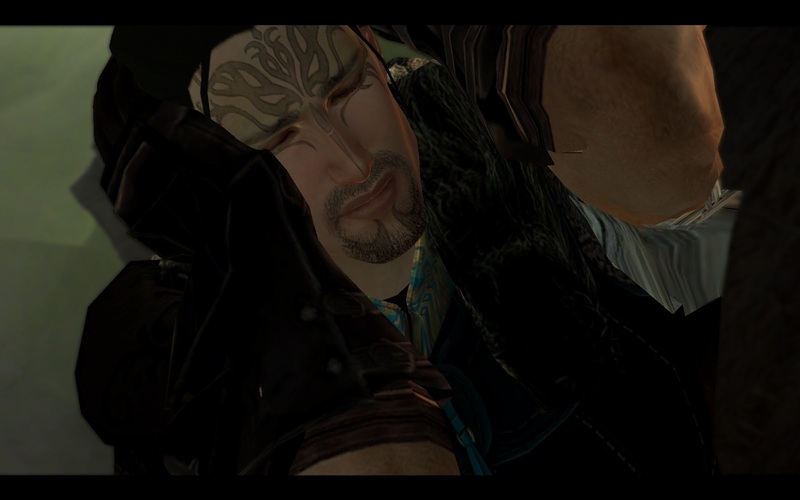 He had been demanding Anders’ head since the Kirkwall Chantry had fallen. Hawke had stalled him for as long as she could, and while she knew he was right, it made the verdict hurt no less. Anders watched her, his defiance fading as the guards took him by the arms and began to take him away. Hawke did not take her eyes away from him. She had to watch. She owed him that much. She owed him more than that. She turned and walked away from him, her head held high, even as Anders blood was drying on her skin and clothes. Fortunate that her clothes were black and hid the blood from all but the most attentive. It had taken all her strength to stand up to Sebastian then. Every part of her wanted to find a quiet place to hide, but how could she do that? She was the Champion of Kirkwall. The Viscount. How could she show weakness in front of all these people who looked to her to protect them. By the time she reached the great doors, it was all she could do to keep her feet moving, but, as she faltered, she felt strong arms scoop her up and hold her against a warm, lithe body. She closed her eyes and breathed him in, his usual scents of elf root and fine red wine now tinged slightly with the salt of the sea, calming her. An ample crowd had stopped to watch them, but neither of them cared as he kissed the top of her head and murmured softly to her. She smiled blissfully, her eyes closed. “I think I’ll take the rest of the day off,” she whispered as he carried her out the door.